Orientation and Family Connections, part of the Division of Enrollment Management, Marketing and Communications, will share an overview of campus-wide orientation programs for incoming undergraduate students and their families during a preview event on Monday, June 5, at 2 p.m.
All traditionally admitted freshmen and transfer students must attend orientation programs prior to registering for fall 2017 classes. New freshmen attend a two-day program, while transfers attend a one-day program. Both programs focus on providing information crucial to student success. Students will be introduced to key academic and support services. Families of new freshmen and transfer students are also invited to stay and participate in programs geared to them. Students and families will have opportunities to attend sessions together and separately. All campus partners are invited to attend the preview, which will take place in the Carl Sandburg Auditorium of the Holmes Student Center. 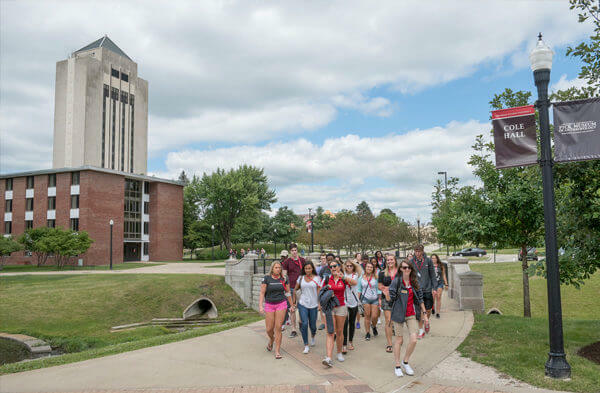 For more information, call Orientation and Family Connections at 815-753-1535 or email awolfman@niu.edu.